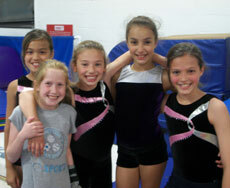 This class is for boys and girls ages 7-14 who only want to learn tumbling skills. 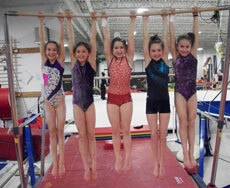 There is no instruction on apparatuses (beam, bars, rings, vault). 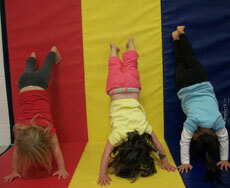 Tumbling enhances children’s endurance, strength, and flexibility. 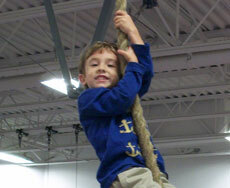 The end goal is for children to learn how to connect a series of tumbling skills, which may include Round-offs, Front and Back Handsprings, Front and Back Tucks, and Aerials. 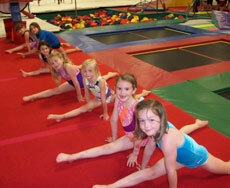 Tumbling meets every Tuesday 4:30-5:30 PM. 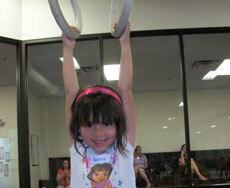 Prerequisite skills: Forward Roll, Backward Roll, Cartwheel, Handstand. Price is $210/9 Week Session.